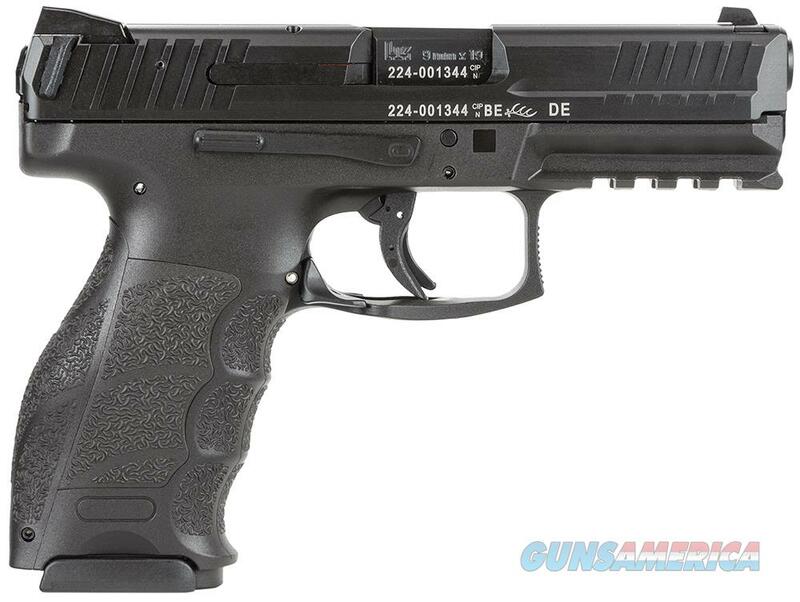 Description: The VP Series is Heckler & Koch's first striker-fired HK since the P7 series pistols. It is well-suited for civilian sport shooting, security, military, and law enforcement use. The VP Series integrates a striker firing system with an enhanced, HK "light pull" trigger. HK's cold hammer-forged barrel made from cannon grade steel ensures long service life, as does the polygonal bore profile which also provides a slight increase in muzzle velocity. It uses an ergonomic handgun grip design that includes three changeable backstraps and six side panels, accommodating all hand sizes. Molded finger grooves in the pistol's grip is ideal for an operator's hand for optimal shooting. A unique VP feature is HK's patented rear-mounted charging supports on each side of the slide provide better gripping leverage for racking the slide rearward. The machined steel slide is protected from corrosion and wear by HK's hostile environment finish and all metal components, including springs and pins have superior metallurgy. The VP9 also has an extended Picatinny MIL-STD-1913 rail molded into its polymer frame, ambidextrous controls, a slide release on both sides of the frame, and the paddle-style magazine release. This model comes with 3-dot sights, and includes two (2), 15-round magazines.